I don’t know about you but whenever I hear about a “topic” (for lack of a better term) I’ve never heard of before, it seems that this new “topic follows me wherever I go. For example, shortly before Christmas my daughter was diagnosed with an illness that I had never heard of before. What happens next, within two weeks three other children I know get the same illness. The same goes for the latest new “topic” in my life. While on campus last week I heard some students talking about quinoa. I had never heard of quinoa but a couple of days later the quinoa follows me to a conference and what appears in my inbox this morning….more QUINOA. I am taking this as a sign that my Meatless Monday post today should be on quinoa. Check out this post from mythineats.com. Quinoa is known as a superfood, some people relate it to grain but it is actually a seed that comes from a plant most closely related to spinach. It is grown in the Andes mountains of South America. The ancient Incas considered this plant sacred and called it “chisaya mama” which means ‘Mother of All Grains’. Quinoa grains are about the same size as millet, but flattened, with a pointed, oval shape. The color ranges from pale yellow through red and brown to black. Quinoa is a great source of iron, manganese, potassium, riboflavin, copper, phosphorous, tryptophan, B6, niacin and thiamine. One cup of cooked quinoa has only 220 calories. It also has 5 grams of fiber and 8 grams of protein. Quinoa is stocked with life-sustaining nutrients all across the board, including all eight essential amino acids. There are other highly beneficial compounds, vitamins and minerals. It is not surprising that it is being recommended for people who want to lose weight, for people who suffer from migraine, heart disease and atherosclerosis, for people with gluten sensitivity, for vegans, and basically for everyone who wants to eat healthy. Quinoa by itself is rather bland, I like to add olive oil, bullion, and if you like spicy food as I do some chili pepper as it boils. Quinoa is fun to cook with and you can add anything you like to it, from veggies to poultry, or you could make it as a cereal with milk and cinnamon, you can incorporate it into dessert, it’s a chameleon. Ok, so my veggie loving friends…can I buy quinoa at a restaurant? I would rather have someone prepare this for me so that I know what its supposed to taste like before I try to make it on my own. I definitely want my first quinoa experience to be a positive one. I am certainly open-minded to different types of diets, but I am Southern to my soul! This is apparent by my strong affection for smothered pork chops and sweet tea. I have however learned a great deal about eating healthier for my body and the environment through the Meatless Monday movement. While researching topics for today’s post I came across a website titled The Southern Vegan. I immediately thought “a vegan after my own heart.” After reading some of the posts I decided to contact the author, Amanda, to find out more about her story. Amanda was generous to share her story with me and I look forward to continuing our conversation about how this “southern girl” has made the transition. And now….an interview with a vegan. How/why did you become a vegan? In college, I was hospitalized due to an excruciating pain in my lower abdomen. After weeks of testing, hospitalization and a few visits with a nutritionist, I was told I could not digest animal protein properly, causing infections, fatigue, malnutrition, problems with my internal organs and a host of other issues. The only solution I was given was a complete transition to a vegan diet with no exceptions or time for a soft transition. When many people read my story, they automatically assume I was either incredibly overweight or unhealthy, hence the need for a drastic and immediate change in my diet. On the contrary, I have always been a healthy weight and very active. However, I had no idea what I was putting my body through on a daily basis because of food I was consuming. Since your vegan journey began out of necessity did you have a hard time coming to grips with the fact that you had to change your eating habits? Prior to my hospitalization, I didn’t really understand what eating vegan was and I certainly didn’t understand why anyone would ever choose to limit his or her diet in such a drastic way. I questioned the protein source and malnutrition of any vegetarian or vegan in which I came in contact. I was raised most of life in South Carolina, eating throughout my childhood as most do their entire lives…meals filled with meat, processed foods and vegetables. Even the vegetables I consumed growing up were cooked in cheese or butter. I believed that foods derived from an animal were necessary to a healthy diet. When I was told the vegan diet was necessary for me to live a healthy life, I was ignorant to what I would eat, how I would get enough nutrients, and certainly how I would survive inSouth Carolinanot eating anything from an animal. I wish I could say the transition to a vegan diet was a painless and easy process for me, but it was quite the opposite. I struggled for months, if not years, on grasping the new lifestyle. At first, I felt restricted and lost. What you put into your body is the one thing you can control each day and I felt I had lost complete control. I wandered around the grocery store aimlessly, desperately searching for food to fill the void I felt inside. I had no friends or family living locally that were interested or educated on the vegan lifestyle. Most were just as I was before my sudden change in lifestyle, ignorant and misinformed about veganism. One day I decided I had to take it upon myself to better my education on veganism and what the health benefits to eating a plant-based diet were. I was hoping that if I understood veganism better, mealtime would be easier for me. I began reading as many books and scientific studies as I could. When this educational process began, I was shocked at the facts. I could not believe how wrong my perception of “healthy” was. Educating myself on the facts of a healthy, plant-based diet was the key to an easier transition. Any advice for people who are considering a vegan lifestyle? Educate yourself and try it! I’m a big believer that if our society knew the scientific facts about health, nutrition and disease, many of them would choose to make a change to their diet. I know that I certainly would have made changes to my diet had I understood what I was doing to my body with the food I was consuming. Additionally, I think the best way to learn anything is through your own personal experience. Try the vegan lifestyle for a few months or even just for 30 days. You will see drastic improvements in how you feel, your attitude, your skin, your digestion, your energy level and a host of other great changes. This is not to say the transition will be easy for everyone, especially if your diet was anything like mine prior to my transition. My recommendation for those people is, for the first week or several weeks, keep your meals as similar to what you eat now as possible. You can find vegan alternatives to virtually anything and most of them taste great! This should make the transition easier. 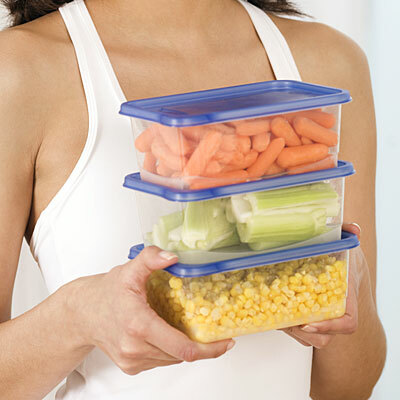 Once you get past the initial transition, try to focus on eating more whole fruits, veggies, nuts, beans, etc. This is where you will see the most health benefits. I am a true believer that we can learn a great deal from hearing about someone else’s journey. If you have a meatless journey of your own that you’d like to share…or if you have questions for Amanda please email them to Shannan.george@life.edu. We’d love to share them with other readers. Also be sure to visit The Southern Vegan for great tips and recipes.